It’s basically impossible not to like these Mason jar lid pies. 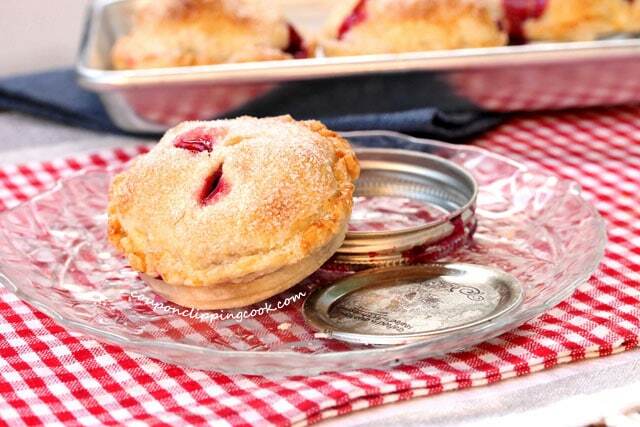 These mini pies baked in Mason jar lids are too darn cute. 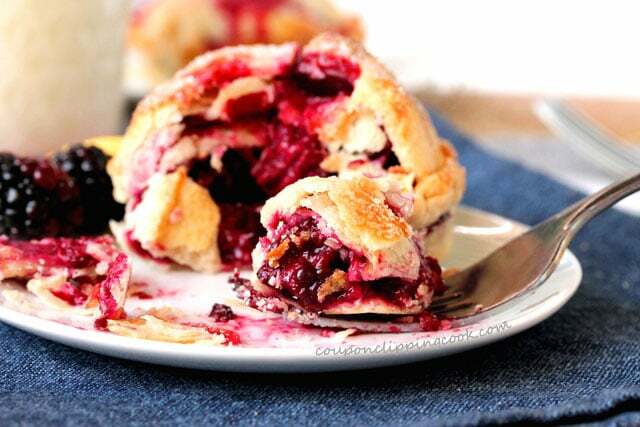 Each one looks a little different depending on the berry juice that bubbles out of the pie when it bakes. When I was taking these pics all I really wanted to do was take a super huge big old bite out of one of these yummies. After taking all of the pictures, I admit, that’s exactly what I did too. 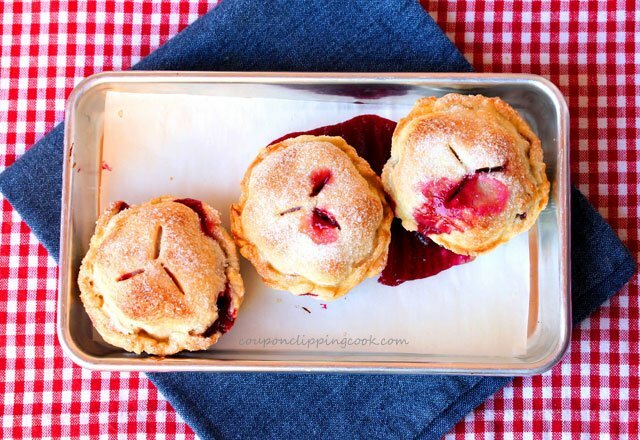 I guess you could call these fun little pies “personal pan pies” since you can have one to your very own self. So sharing is not required. 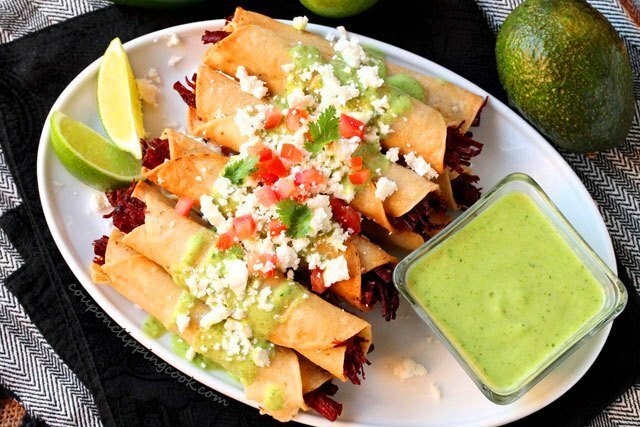 They are so pretty when displayed on a big plate and are sure to impress at a party, pot-luck or just any time. 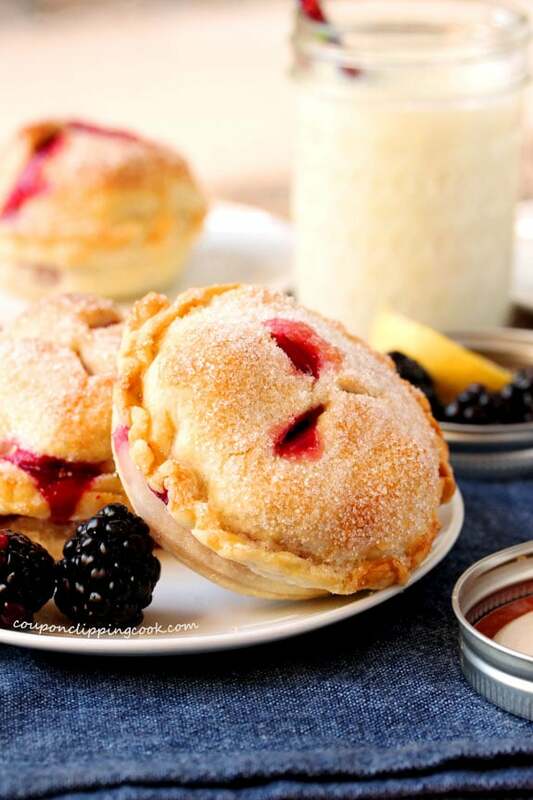 These cuties are super easy to make especially when using premade pie dough. And even easier if using canned pie filling. Canned cherry pie filling comes to mind. I might just have to try that version. 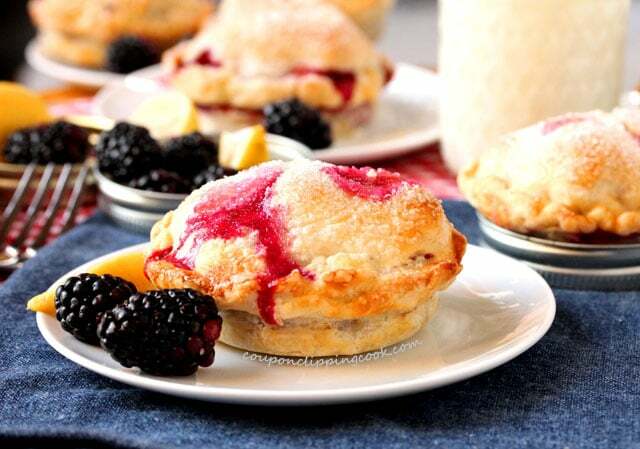 Ok so back to these adorb mini pies. 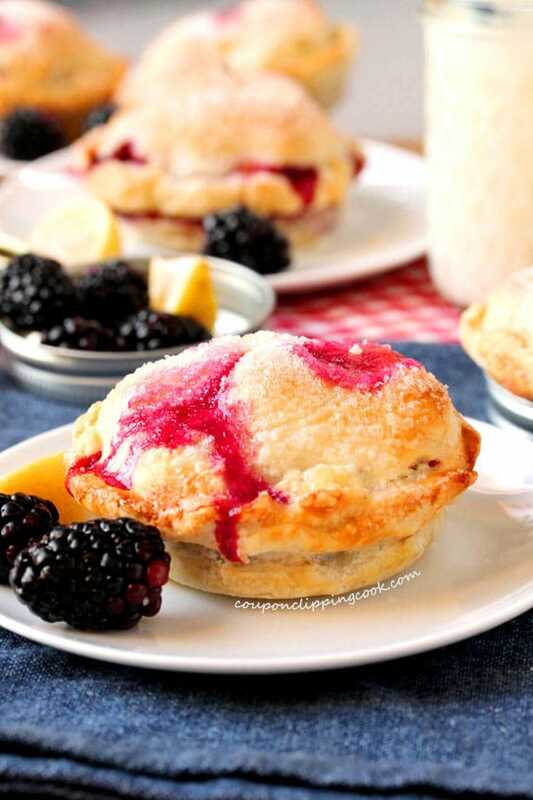 They’re filled with a homemade fresh blackberry mixture, and lemon curd. Such a nice combination of sweet and tart. 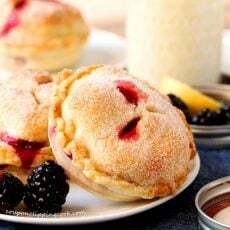 Here’s another version of these pies that I made for SheKnows; it’s filled with fresh strawberries. yum. 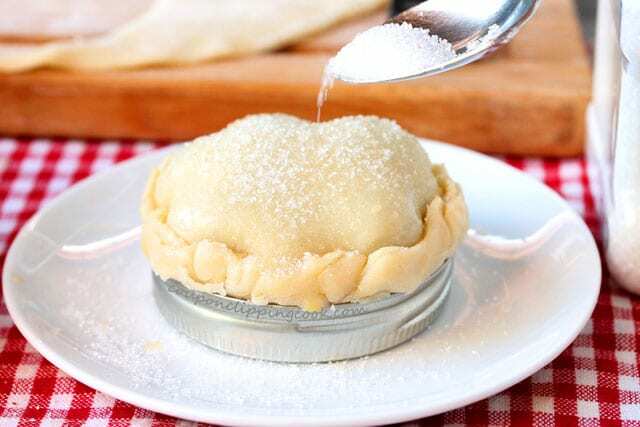 For the Pies – pie filling, premade pie dough, egg, water, sanding sugar (or another sugar with large crystals)….and…. 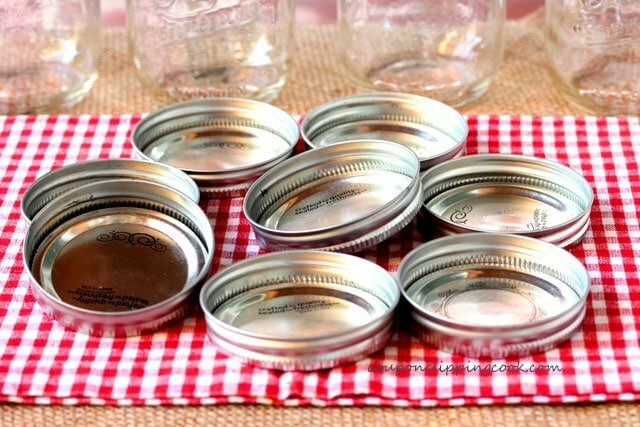 …8 Mason jar lids (3-inch diameter). 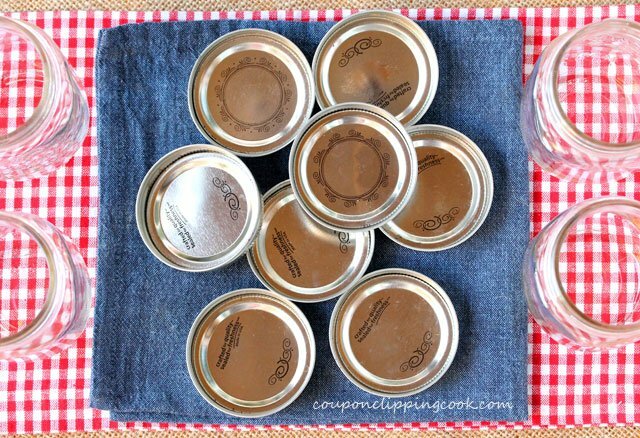 Preparing the Mason Jar Lids – Clean the top and bottom of each Mason jar lid. Turn the inside of each lid over so that the metal part inside the rim is facing up (instead of the side with the rubber seal on it). This way the pie dough will come in contact with the metal side of the lid rather than the side with the rubber on it. Set aside. 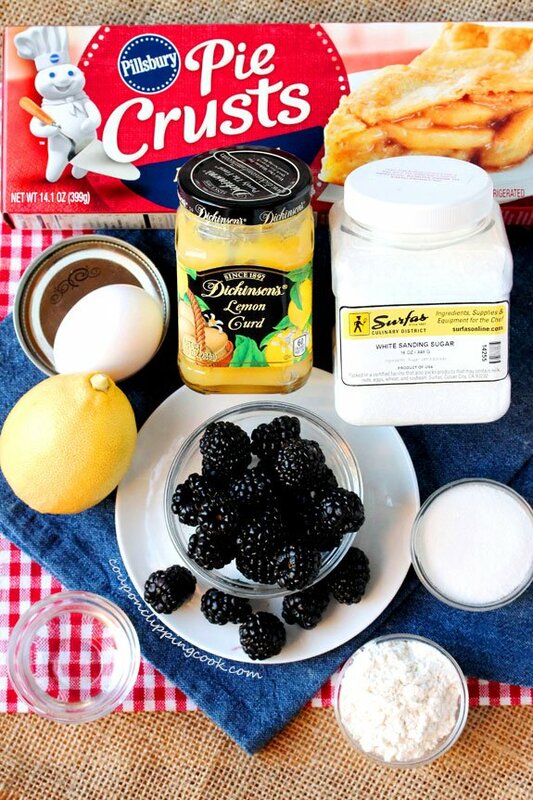 In a medium size bowl, add blackberries, sugar, flour and lemon juice. Cutting the Dough – Sprinkle flour on the dough rolling surface and lay out one of the rounds of dough. The dough for the pie crust (top and bottom) needs to be cut 1-inch larger in diameter than the size of the Mason jar lid. 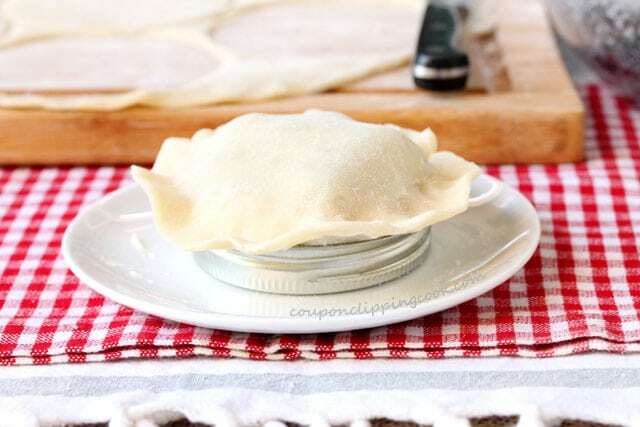 If using 3-inch diameter Mason jar lids, the small dough rounds (pie crusts) need to be 4-inches in diameter. 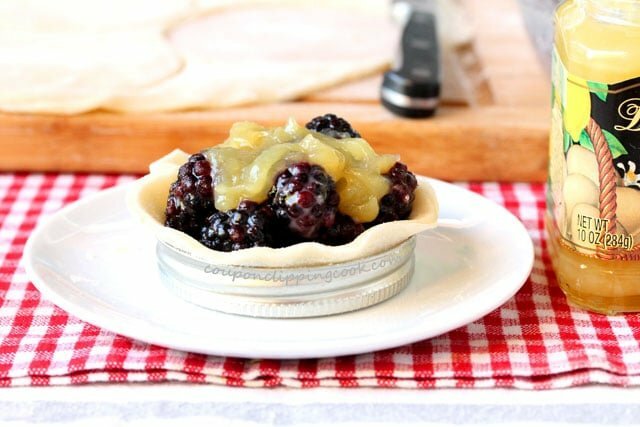 To cut the pie crusts, use a glass (with thin edges) that is 4-inches in diameter, or use a Mason jar lid as a guide and cut a circle that is 1-inch larger in diameter with a knife. Each large round of dough should yield 8 pie crusts (small rounds); 2 of the small rounds will need to be made from the scraps after cutting 6 small rounds. 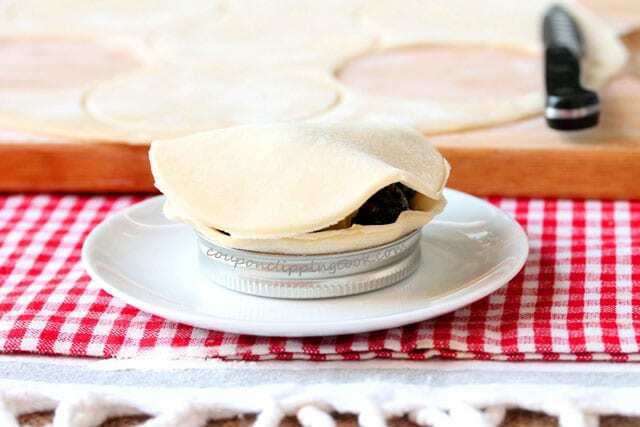 Filling the Pies – Lay a small round of dough in a Mason jar lid. With your fingers, gently push the dough evenly inside of the lid. 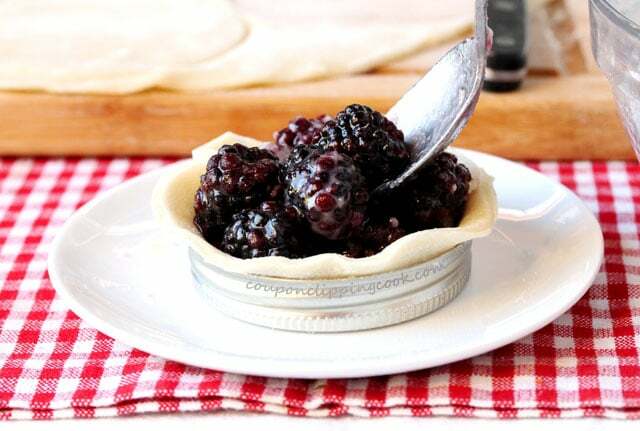 Spoon the berry mixture (not the juice) in the pie shell by using a slotted spoon; or if using a regular spoon, drain the juice back into the bowl (when the berries are in the spoon, lean the spoon on the inside of the bowl to drain the juice). Be careful not to fill the pie shell too full. Leave enough room for the top crust to cover the berries and overlap the bottom crust. 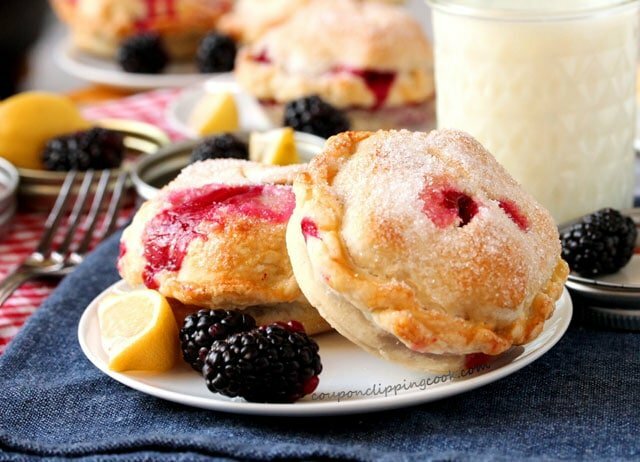 Top the berries with lemon curd. 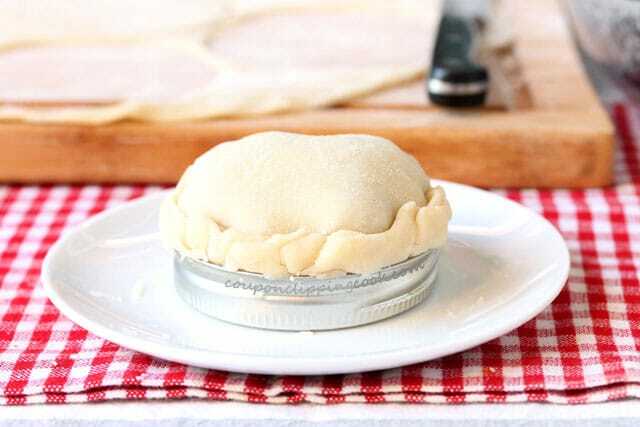 Adding the Top Layer of Pie Dough – Dip your finger in water and run it around the inside edge of the bottom pie crust. Top the pie with a small round of dough. 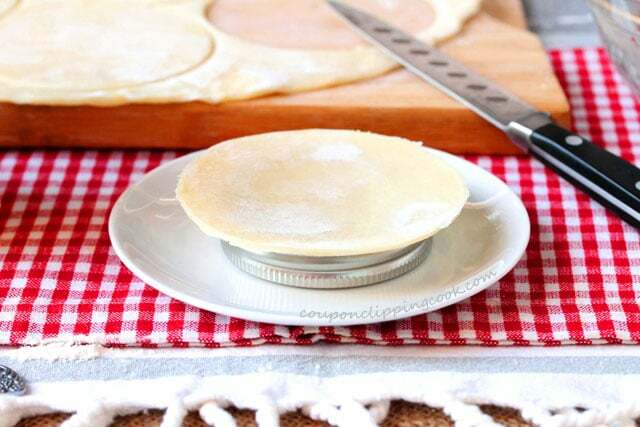 Pinch the edges of the top and bottom pie crusts together so that they’re tightly sealed. Roll the edges of the pie crust and tuck them into the top of the lid. Repeat the process with the remaining pies. For the Egg Wash and Sugar Topping – In a small bowl add the egg and water. Whisk the egg wash together. 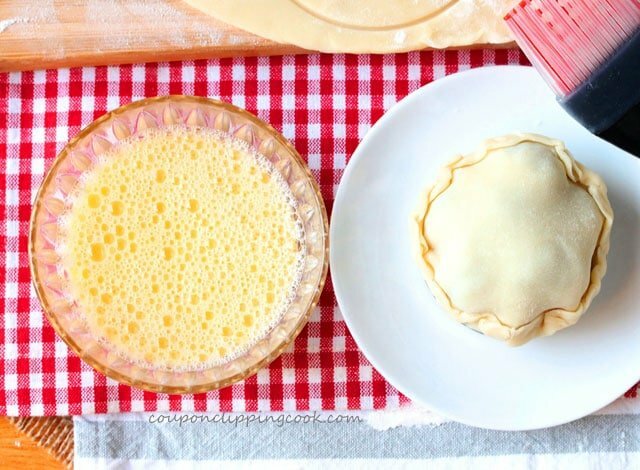 Brush egg wash on top of the pies. …and cut slits on top of each pie so that steam can escape. 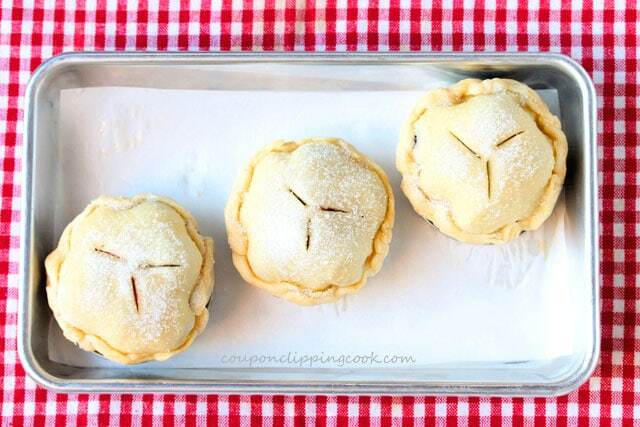 Baking the Pies – Line a shallow baking pan or cookie sheet (with sides) with parchment paper. Put the pies on the pan leaving some space in between each pie. Bake in a preheated oven until the pie crusts turn a golden brown (about 35 to 40 minutes). Juice from the pies may bubble outside of the pies on to the parchment paper. Let the pies cool until the lids are cool enough to handle. 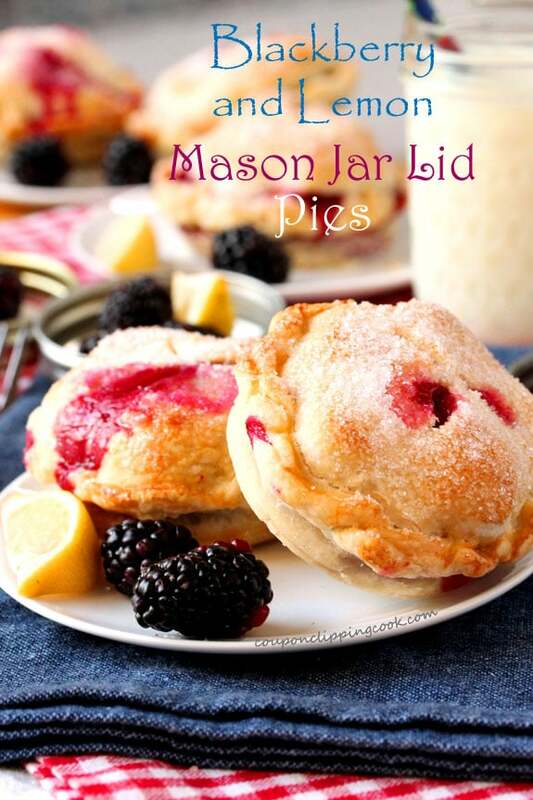 Removing the Pies from the Mason Jar Lids – Carefully push the bottoms of the lids up and out of the rim section. Then carefully remove the bottom parts of the lids from the pies. Serve as soon as the pies are removed from the lids so they’re still warm. 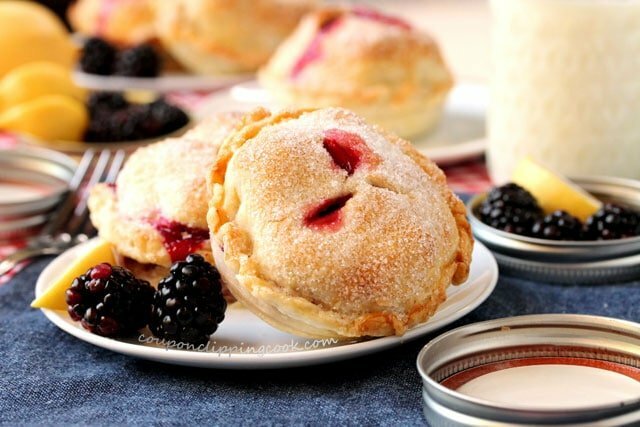 It's basically impossible not to like these Mason jar lid pies. 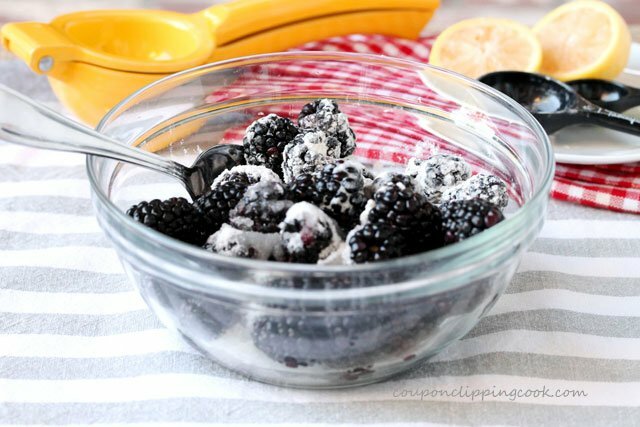 In a medium size bowl, add blackberries, sugar, flour and lemon juice. Gently mix together. Set aside. 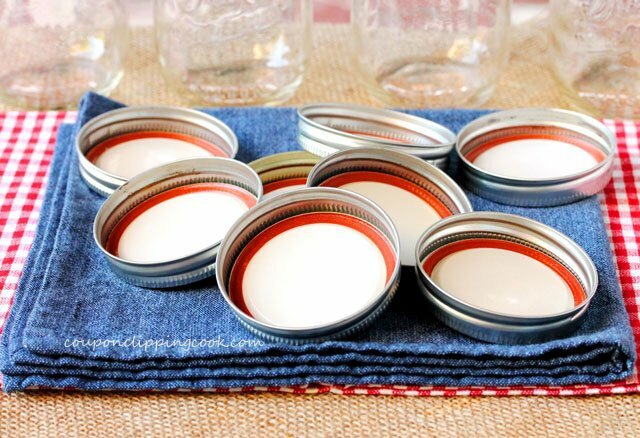 Preparing the Mason Jar Lids - Clean the top and bottom of each Mason jar lid. Turn the inside of each lid over so that the metal part inside of the rim is facing up (instead of the side with the rubber seal on it). This way the pie dough will come in contact with the metal side of the lid rather than the side with the rubber on it. Set the lids aside. 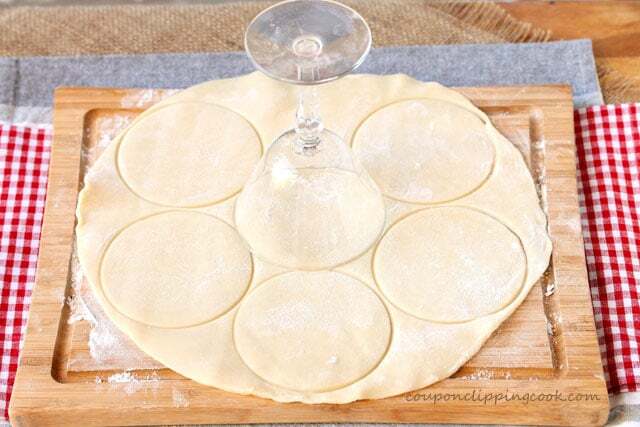 Cutting the Dough - Sprinkle flour on the dough rolling surface and lay out one of the rounds of dough. The dough for the crust (top and bottom) needs to be cut 1-inch larger in diameter than the size of the Mason jar lid. If using 3-inch diameter Mason jar lids, the small dough rounds or pie crusts need to be 4-inches in diameter. 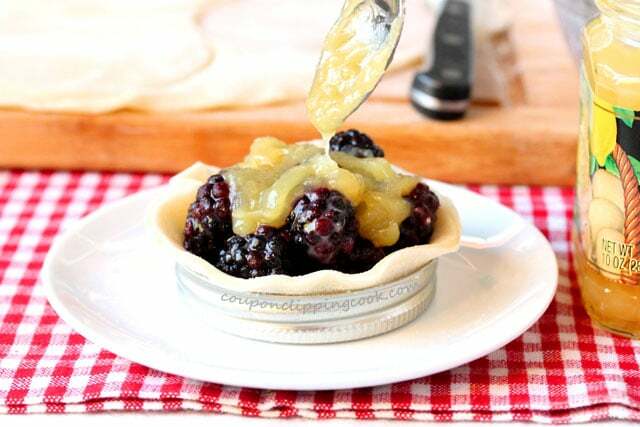 To cut the pie crusts, use a glass (with thin edges) that is 4-inches in diameter or use a Mason jar lid as a guide and cut the round 1-inch larger in diameter with a knife. 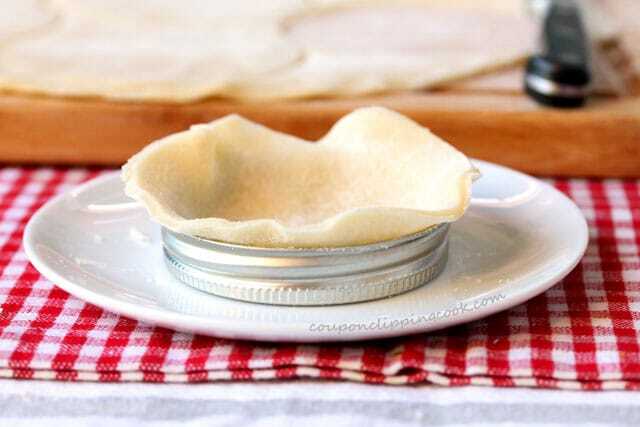 Filling the Pies - Lay a small round of dough in a Mason jar lid. With your fingers, gently push the dough evenly inside of the lid. 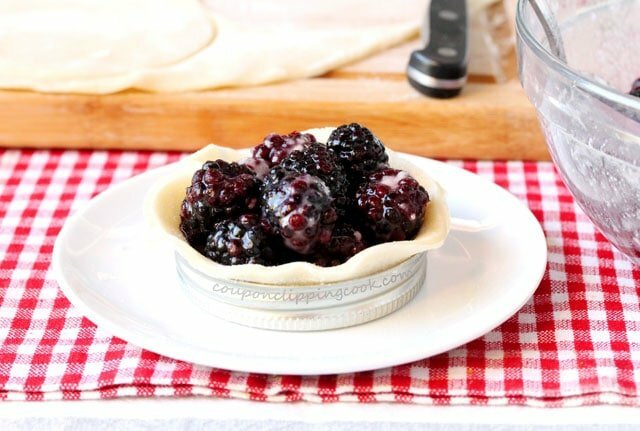 With a slotted spoon, spoon the berry mixture (not the juice) into the pie shells. Or if using a regular spoon, drain the juice back into the bowl (when the berries are in the spoon, lean the spoon on the inside of the bowl to drain the juice). 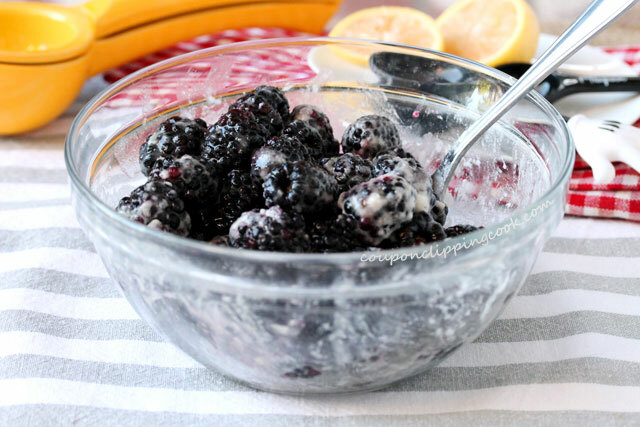 Top the berries with lemon curd. Be careful not to fill the pie shells too full. Leave enough room for the top crust to cover the berries and overlap the bottom crust. Adding the Top Layer of Pie Dough - Dip your finger in water and run it around the inside edge of the bottom pie crust. Top the pie with a small round of dough and pinch the edges of the top and bottom crusts together so that they are tightly sealed. Roll the edges of the pie and tuck them into the top of the lid. Repeat the process with the remaining pies. For the Egg Wash and Sugar Topping - In a small bowl add the egg and water. Whisk the egg wash together. Brush the egg wash on top of the pies. Sprinkle sugar crystals on top of the pies. Cut slits on top of the pies so that steam can escape. Baking the Pies - Line a shallow baking pan or cookie sheet (with sides) with parchment paper. Put the pies on the pan leaving some space in between each pie. Bake in a preheated oven until the pie crusts turn a golden brown (about 35 to 40 minutes). Juice from the pies may bubble outside of the pies on to the parchment paper. 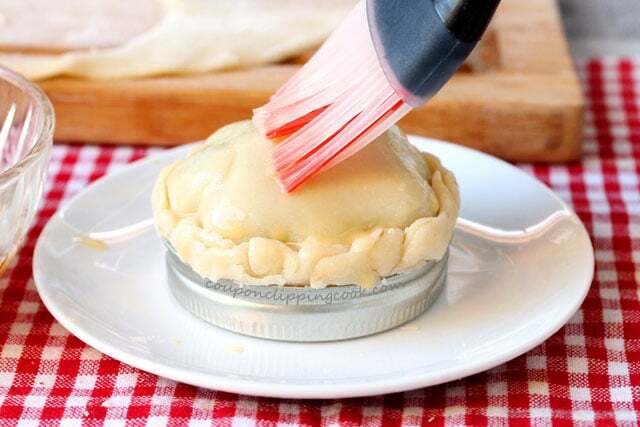 Removing the Pies from the Mason Jar Lids - Carefully push the bottoms of the lids up and out of the rim section. Then carefully remove the bottom parts of the lids from the pies. Serve as soon as the pies are removed from the lids so they're still warm. Hi, do you know how many calories is this? I tried calculating for one person but it turned out too much, I guess I didn’t do it right. Hi Marsha, I did a quick estimated calculation based on the calories found on the internet for each ingredient (in general) and it may come out to about 410 per pie (the highest amount of calories come from the pie crust). But it would be more accurate to use the calorie count from the actual packages of each ingredient multiplied by the measure noted on the package (i.e. 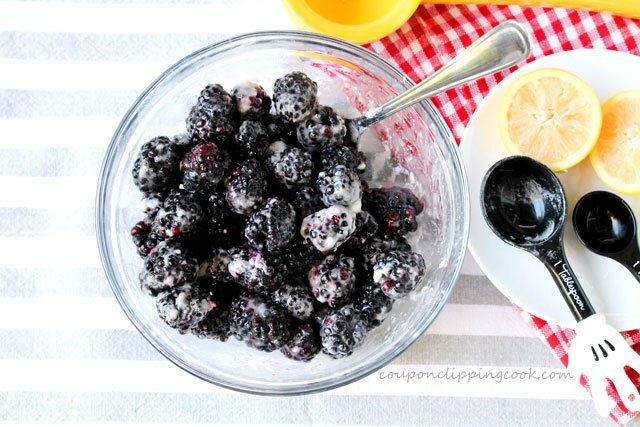 I estimated that the blackberries were 1 cup per 6 ounce package but that may not be exact). Have a great week!